英文摘要：A solidification heat transfer mathematical model of heavy rail steel bloom was established based on practical production conditions bloom continuous caster in No.1 steelmaking plant of WISCO. Besides, it was tested and modified by pinshooting technique. The results show that the final stage of solidification of U71Mn heavy rail steel is far 16.96～21.68 m from mold liquid level. With increasing 0.1 m/min casting speed, surface temperature and centre temperature of bloom increase obviously, and the final stage of solidification shifts 4.72 m backward. 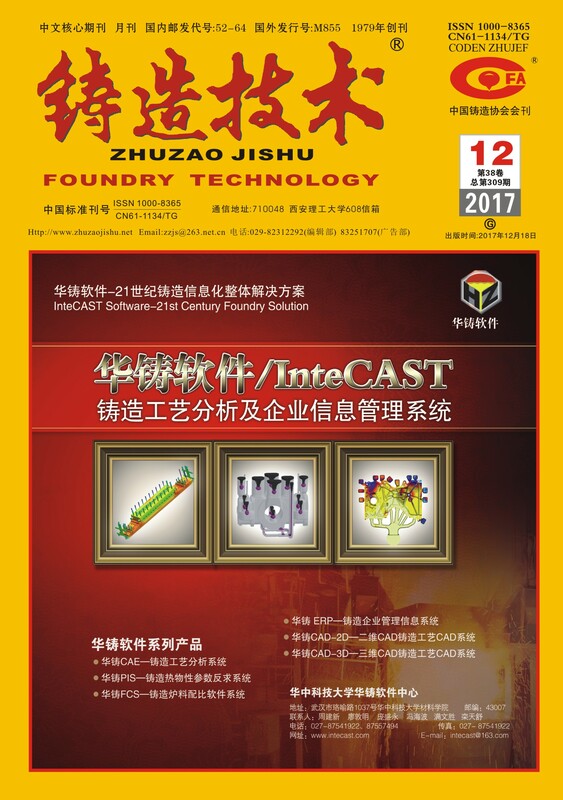 After adjusting the intensity of secondary cooling weakly, surface temperature of bloom increases clearly, but centre temperature of casting blank has no change obviously, and the final stage of solidification shifts 1.12～2.23 m forward. So, weak intensity of secondary cooling is more suitable for U71Mn heavy rail steel.